Cleans and disinfects in one wipe, leaving a ocean fresh scent! 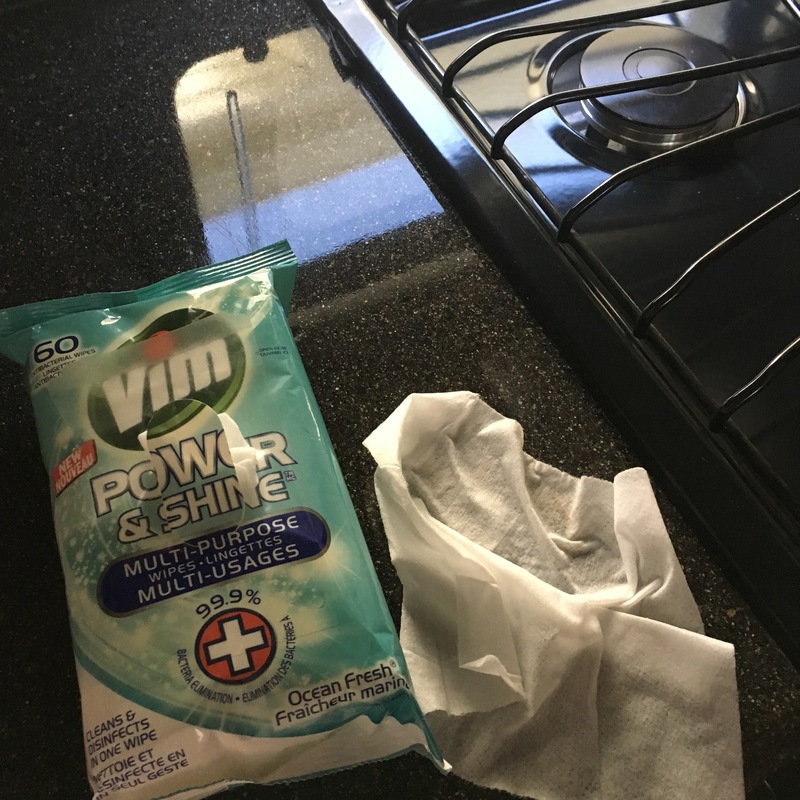 Vim wipes are specially designed with a strong honeycomb weave to soften, detach and lift dirt quickly on virtually all surfaces around your home. 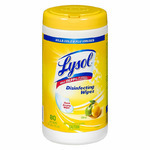 Great for sinks, tables, stainless steel, stoves, garbage bins, toilets and plenty more. 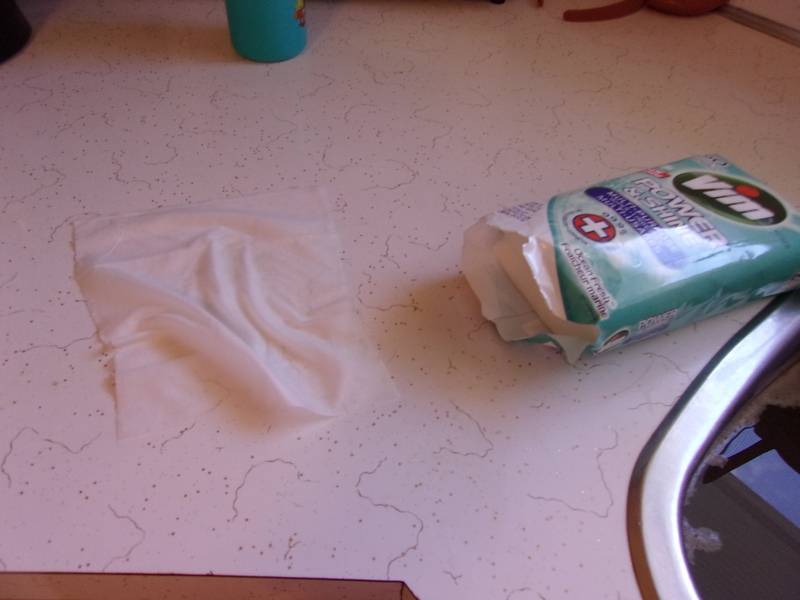 To keep your wipes fresher for longer, only open the pack halfway and reseal it after every use. 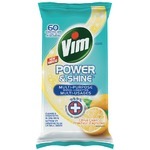 You might also like: Vim Actifizz Multi-purpose Lemon Spray, Vim Power & Shine Bathroom Spray, Vim Power & Shine Kitchen Spray, Vim Power & Shine Multi-Purpose Spray with Bleach, Vim Power & Shine Anti-Bacterial Multi-purpose Spray, or Vim Power & Shine Multi-Purpose Wipes in Citrus Clean. I like this product. I like the smell of it and how smoothly it works. I also like the convenient packaging. I would definitely purchase this product. Je ne conseille pas se produit! 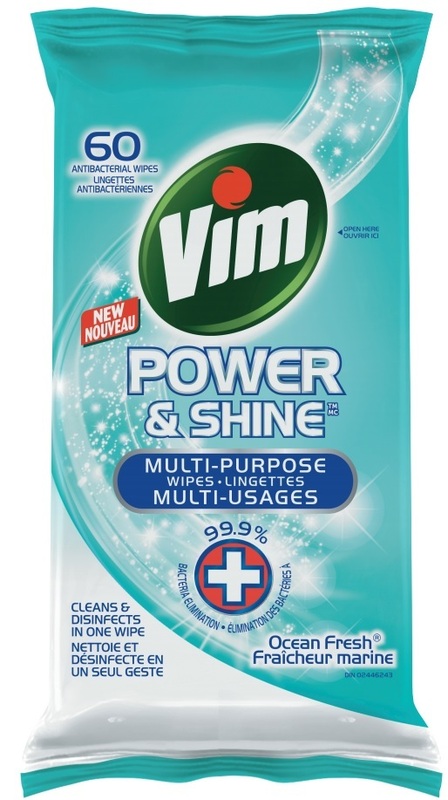 Je tiens a specifier que j’aime habituellement beaucoup les produits vim! J’ai acheter les lingettes car j’ai eu un bon special et j’avais un coupon rabais ,malheureusement il on une mauvaise odeur forte qui reste tres presente sur les mains apres une utilisation,je ne racheterais plus. j'adore ce produit j'en achète régulièrement ils sont pour moi la lingette idéal pour les petit dégât dans la maison dans auto ,été j'en garde a extérieure quand je reçois ou que nous utilisons de BBQ ils sont vraiment un indispensable pour moi et toute ma famille ,ils sont fantastique je vous conseil dans avoir toujours prêt de vous ,merci ! guys. I'm a mama of 2 and I decided to take my kids to Mexico. Ages 1.5 years and 3.5 years. Crazy right? Honestly I probably would have gone crazy if it wasn't for these gems. I bought a package for the plane and LOVED them. No issue bringing them on a international flight and I was able to do a quick wipe of the tray and arm rests on the plane, because who wants to be sick when they land in Mexico. I used them in my hotel room through out the trip. Kids love to be naked (who doesn't!) but as adults we can control when we go the washroom. 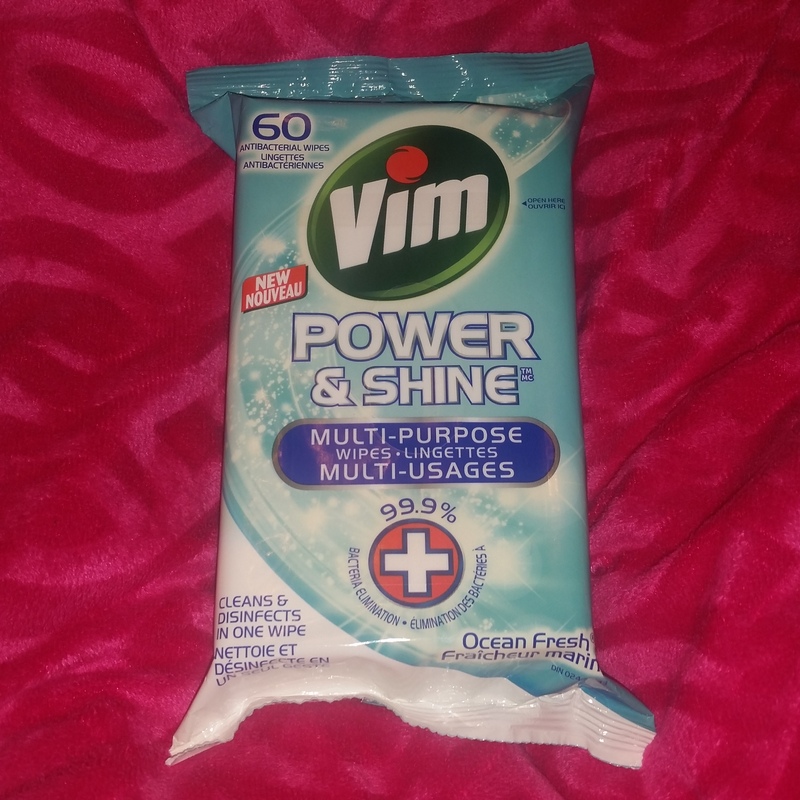 We had a few accidents in our tiled room and a quick wipe with these powerful wipes and we were good to go. There are a TON in each package so I even brought them back with me to Canada. The best part? When I use them at home now, it reminds me of mexico. À acheter, encore et encore. Ce sont de loin les lingettes les plus efficaces que j'ai pus utiliser. Ces lingettes sont idéales pour tous les types de dégâts, et nous évite d'utiliser des chiffons qui doivent être lavés. J'ai un paquet dans chaque pièce de la maison, et c'est rendu mon indispensable des petits dégâts de tous les jours. 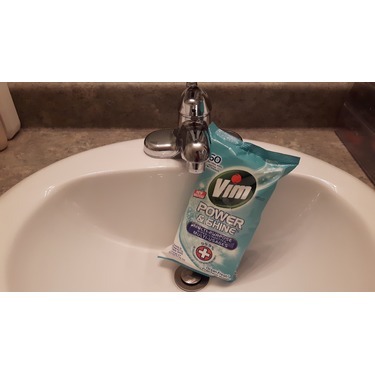 I purchased this product from the Clearance rack at my local Shoppers Drug Mart. I paid $2 for them - and I feel like I still paid too much. 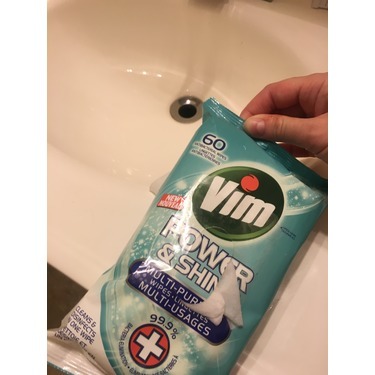 I was expecting to be able to actually clean with these. No - not what these are for. 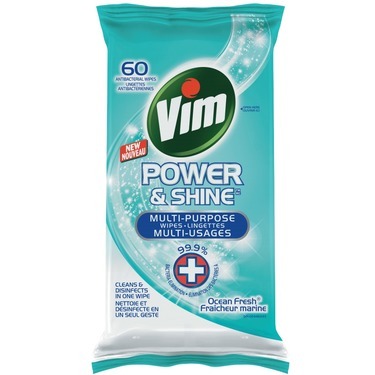 The product instructions state that you should clean dirty surfaces first, and then run a Vim Power & Shine cloth over the area. This seems a bit redundant to me. The cloths are fairly thin and not very moist (compared to, say, a Lysol wipe) The smell is nice and clean. 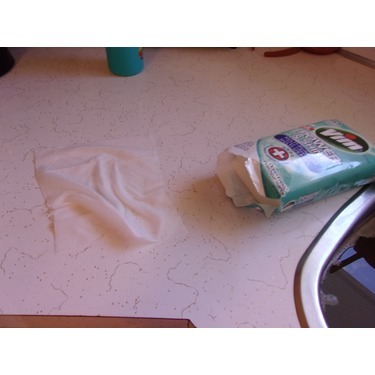 These cloths do not remove stuck on food, grime, etc - it simply sanitizes the surface to which it is applied. This product seems a bit frivolous and wasteful to me. 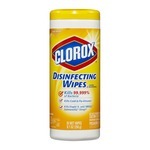 I will stick with my vinegar & microfiber cloth. 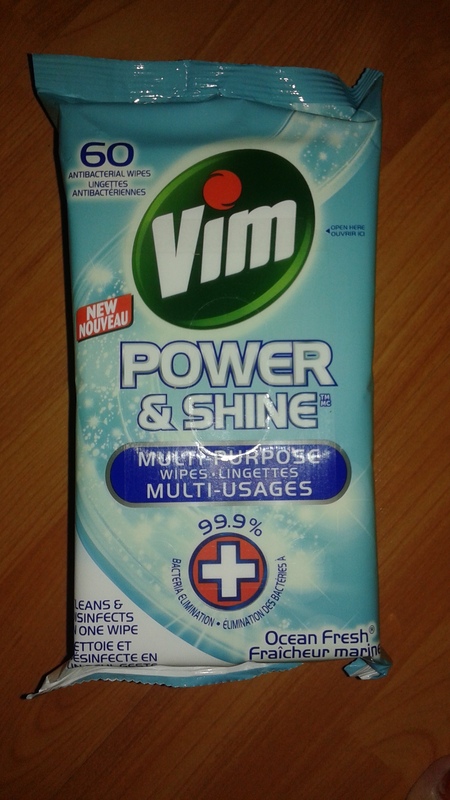 It cleans and shines, too, but in only one step and with no waste! I could see maybe keeping a package of these cloths in the car for quick wipe ups - but they really have no use around the house. These wouldn't stand a chance against my bathroom - they fell apart just wiping my kitchen counter tops! 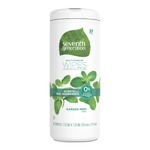 Has a pleasant scent. Each cloth has a good amount of moisture. 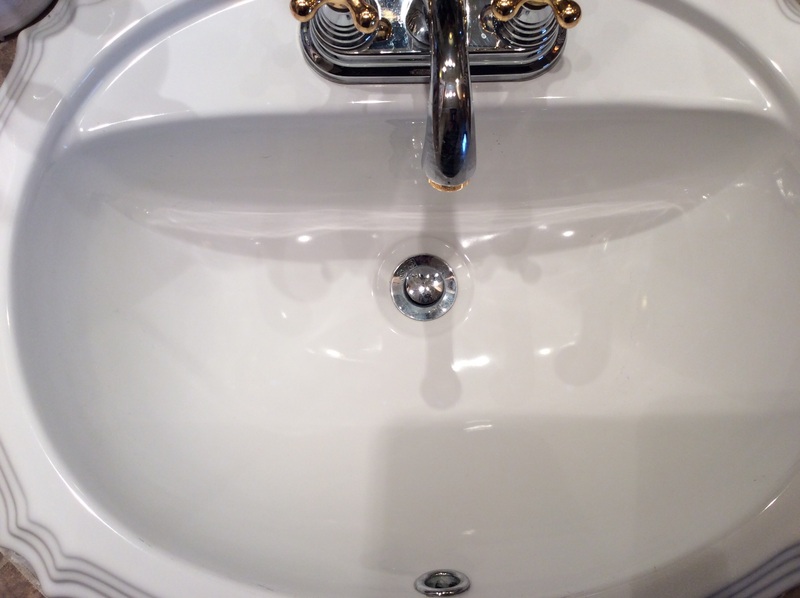 Counter tops, sinks, toilet seats were easy to clean. 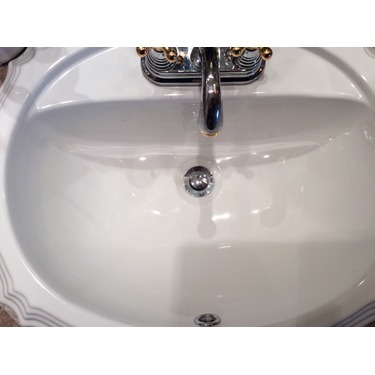 Removed stubborn stains that were on counters. 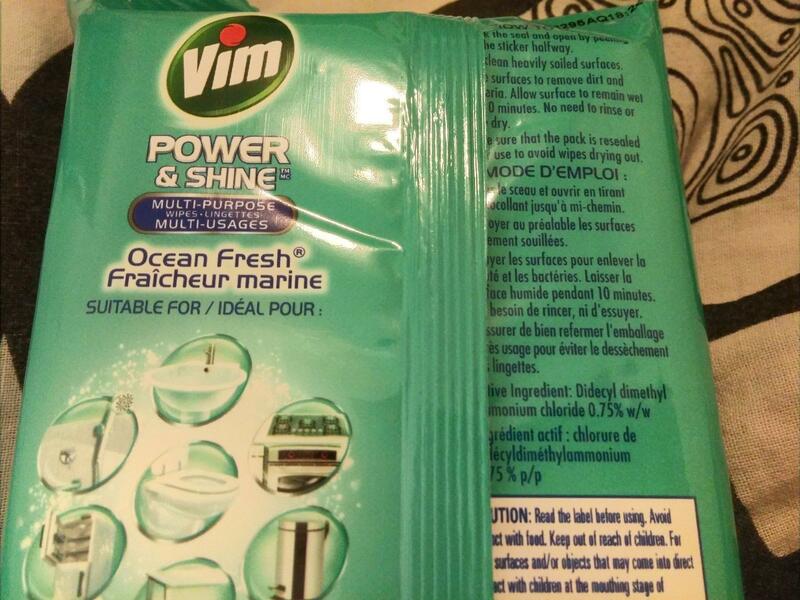 Smell: Normally I love anything Ocean scented, but these are just not as pleasant smelling as I expected. 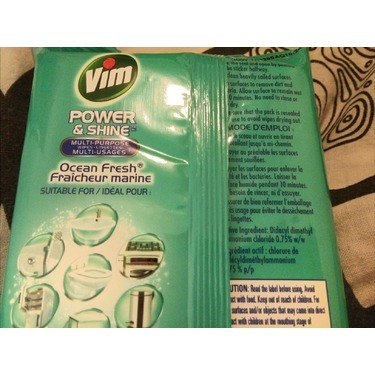 It's certainly bearable, but doesn't smell as 'fresh' as wipes I've used in the past and is a bit cloying. 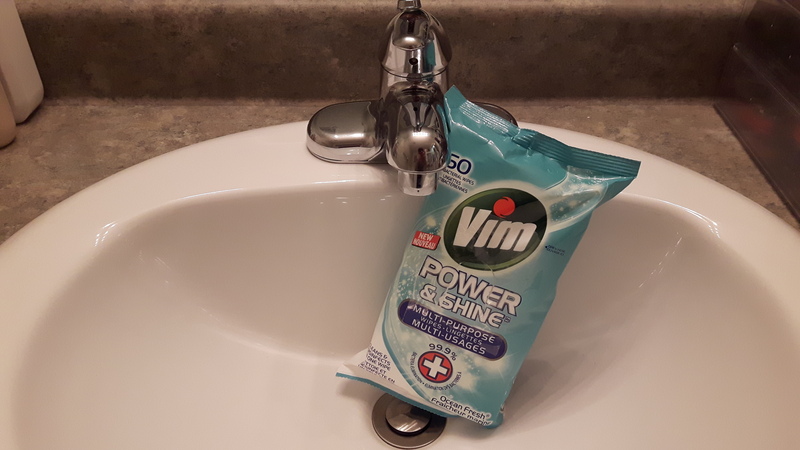 Saturation: These wipes are pretty dry. 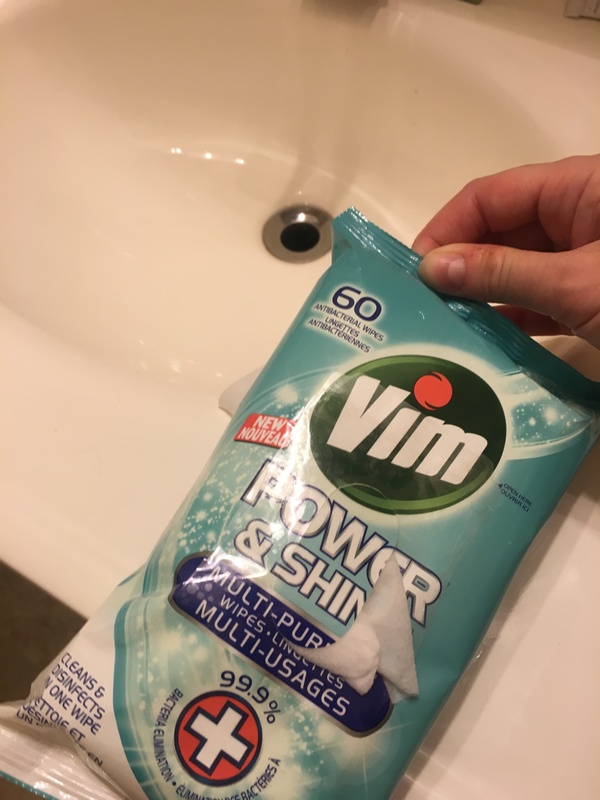 For my purposes, a more saturated wipe helps me feel like I'm getting a better clean on the toilet (and I just dry the seat off with toilet paper if I don't have time to wait). 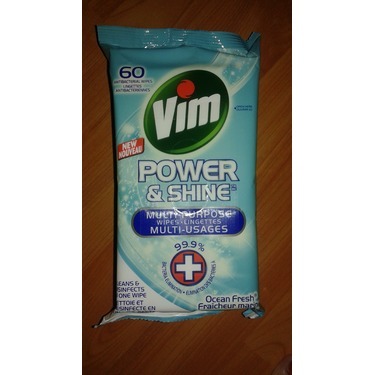 However, if you prefer a more dry wipe, you'll like these. Container: I've said it before and I'll say it again, these 'packet' containers have an awful tendency to open by themselves, drying out all your wipes. Definitely could be improved.